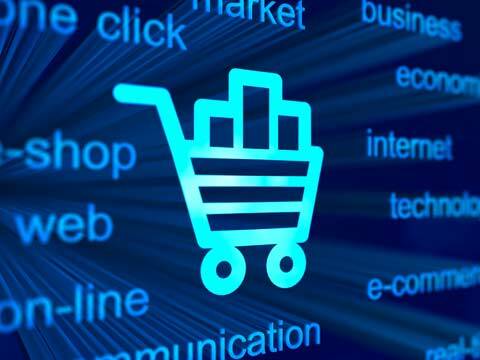 Communications and IT Minister Ravi Shankar Prasad Wednesday said he perceives e-commerce as an extension which surely will pave way for the new India or Digital India. "The dream of witnessing a Digital India will be fulfilled the day when the availability of resources, items and opportunities are just a click away for the Indians," the minister said. He was speaking at the e-Commerce Conclave organised by BRICS Chamber of Commerce and Industry. The minister added that one of his highly desired objectives is to see Dalit women operating in e-commerce in a Dalit village. "The highest day of my life as an IT Minister is when in a Dalit village Dalit women become digitally literate and run a proper common service centre with computers in their hands and operate in e-commerce," he said. Saying that "Indians are born entrepreneurs", Prasad added that he would leave no stone unturned for bridging the digital gap between the rural and urban India. He said the local and small-scale entrepreneurs should be brought to the international platform by achieving the Digital India. Prime Minister Narendra Modi in his Independence Day address to the nation Aug 15 envisaged a Rs.1 lakh crore project to transform the country into a digitally empowered and connected knowledge economy. Prasad Nov 13 met Flipkart co-founder and chief executive officer Sachin Bansal and assured him that the government will provide full support to resolving issues related to logistics and connectivity. "I was delighted to meet the young man Sachin Bansal who started the e-Commerce giant #flipkart# in India," Prasad tweeted after the meeting. In order to help local people, US-based Amazon's Indian arm is working on a business model to involve grocery stores in its network. The minister met Amazon India managing director Amit Agarwal and Amazon vice president, International Public Policy, Monique Meche Nov 11.